Here is a heart-warming story I read on the blog, She Knows. 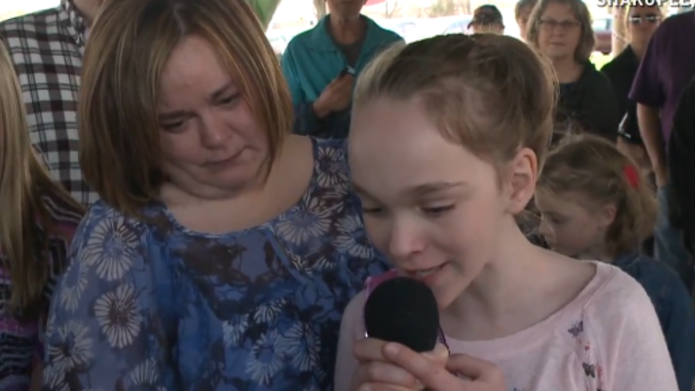 It is about a mom who just wanted to make her little girl’s birthday wish come true. What a happy ending! Here’s what happened when none of her friends RSVP’ed to her birthday party. For 10-year-old Mackenzie Moretter, of Shakopee, Minnesota, this scene played out in real life as she celebrated her birthday last Tuesday. Mackenzie, diagnosed with a rare disorder called Sotos Syndrome when she was just 1 year old, was turned down by every friend she invited to her birthday party. Mackenzie’s dad, Matthew Moretter, said that her condition has made it difficult for her to make friends. This entry was posted in Uncategorized and tagged birthday prty, kids birthday party, Mackenzie Moretter, She Knows, Sotos Syndrome. Bookmark the permalink.